The Keibul Lamjao National Park is Bishnupur's national park located in the state of Manipur, India. The national park stretches up to 15.4 square miles 40 square kilometres in diameter. The Park is renowned worldwide as a floating water park. 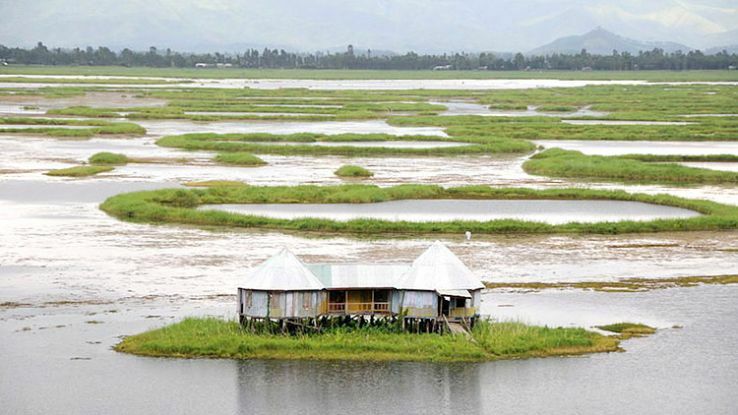 It is situated right at the heart of the North East region of India within Loktak Lake's integral part. The main characteristics of the park are the decomposed plant materials that float on the lake and are termed as phumdis. In the year 1966, the park was initially d as a sanctuary; however, later it was termed as a national park with the help of gazette notification in the year 1977. This was primarily done to save the endangered species of Eld's deer residing in Manipur that was later listed under the endangered species list by IUCN. This act has increased local support along with raised awareness among the general public. The park is famous also through the movie, "The Return of Sangai" which has revealed the integral parts of the national park to the extreme and put forward to the worldwide spectators. Mann Sharma initially established the park with the help of vegetation which was initially a floating mass comprising of biomass and organic garbage particles that eventually thickened into solidified phumdis. The phumdis can be found at the south-eastern side of the lake and is now known as the Ramsar site. The park comprises of phumdis up to 50 to 75% of its total area. 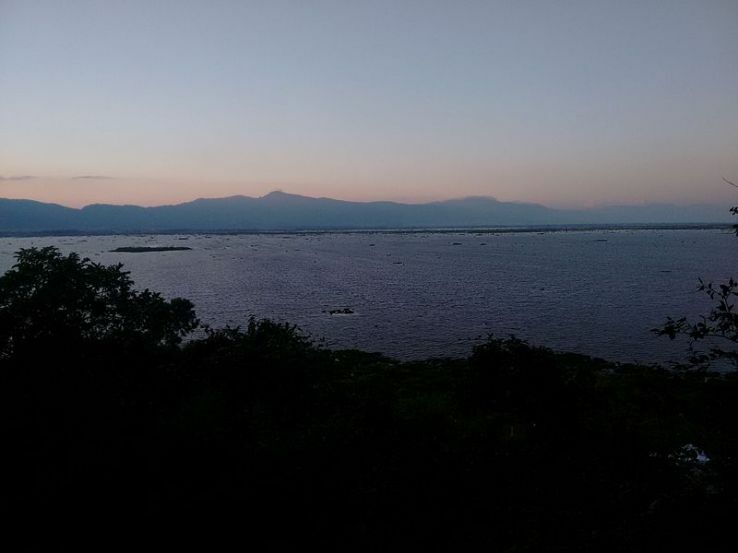 The park can be accessed through waterways where boats run throughout the year covering the Loktak Lake and reaching far north till the Pabot hill. During March 1997, the area under the park was approximated to be 9884.2 acres and was eventually reduced to 5337.5 later. 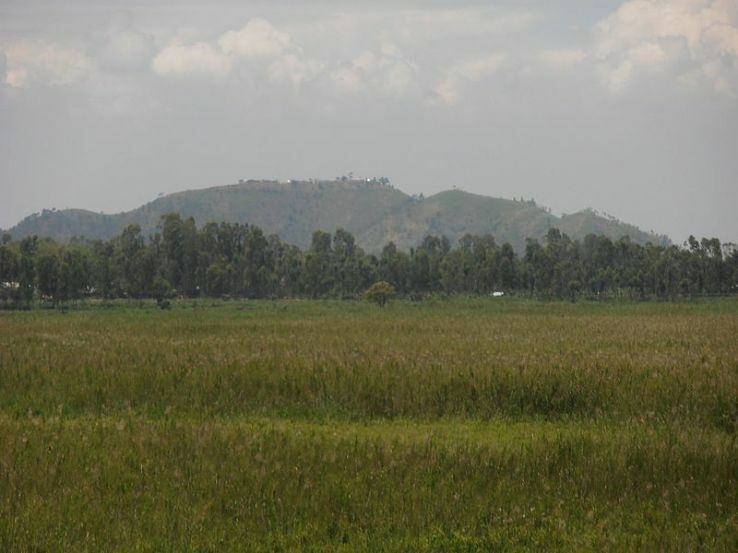 There are three hills encompassed by the swamps named Chingjao, Toya, and Pabot. These hills serve as a refugee centre for the larger mammals, especially in the monsoons. The national park has a very significant feature as it is so thick that it cannot be called a marsh and is so shallow that it cannot be called a lake. The area all across the peripheral region of the national park is owned on a private basis; however, the park is effectively owned by the state. The rest areas are claimed by the Maril, Brel, and Thang tribes that are the local tribal groups in the area. The hydrological features of the entire area depend on the tropical monsoons with year-round rainfall of 46.6 inches 1183 millimetres. The month of July and the month of August are considered to be the wettest compared to February and March that are the driest months throughout the year. There is a significant variation in the area of the park with seasons as per the formation of the phumdis. The peripheral region is grounded till the lake's bed in the dry seasons but submerges in the monsoons. The phumdis float by emerging to the surface after they are separated from the ground during the monsoons and vary considerably from a size of 0.3 meters to 1.2 meters. During this time, there are several animal species in the national park which can be seen moving towards the higher elevated areas, the hills. An overall approximation of 20 percentages of the phumdis floats on the lake's surface and can support the large mammals that travel using them as a path. The temperatures can go as high as 34.4 degrees in summers and can fall to 1.7 degrees during the winters. 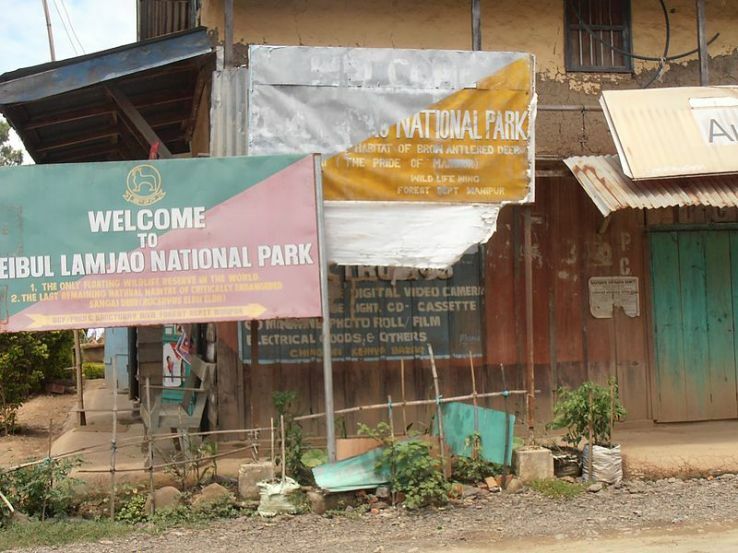 The maximum recorded humidity of the national park is recorded in August and was calculated to be 81 per cent, and the minimum was in March which was 49 per cent. The main animal species which is also an endangered species which the park is home is the dancing deer or the Brow-antlered deer or Sangai. The park comprises of semi-evergreen forests that stay moist throughout the year and comprises of wetland, terrestrial, and aquatic ecosystem. 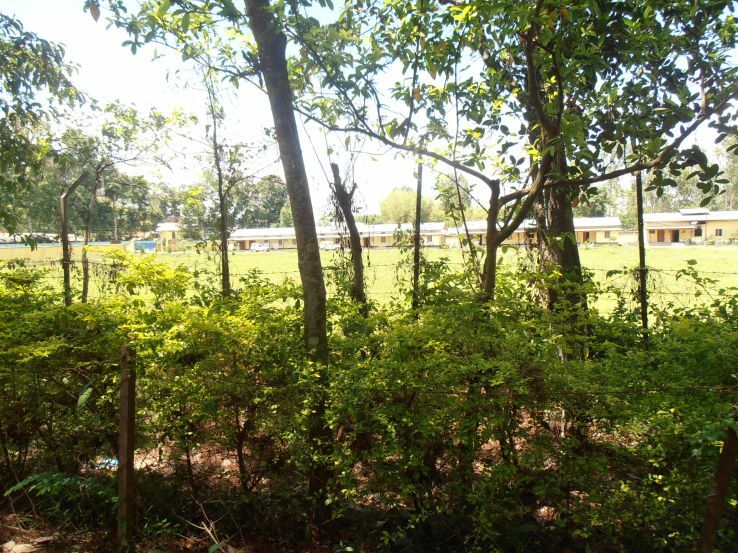 There are grasslands in the Keibul Lamjao National Park which are divided into three zones. 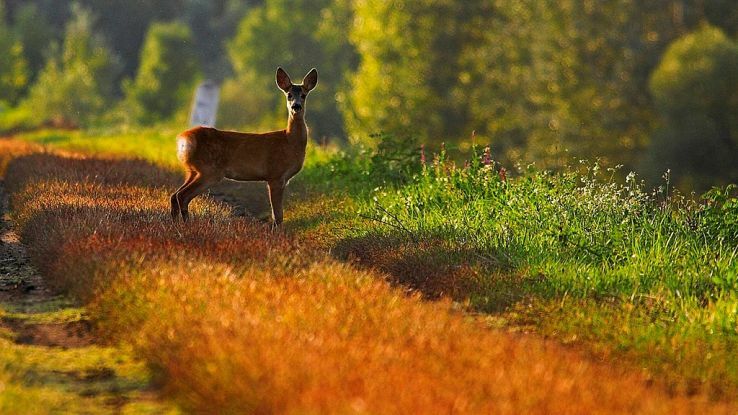 The best time to visit the park and explore its beauty is early in the morning.